This is my second year doing NaNoWriMo. 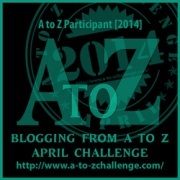 I’ve always heard about the writing challenge done in November but had never participated until 2013. What compelled me to join that year was because of a dream I had. A dream about a teenage girl, a witch, who took the biggest risk of all. By outing herself as a witch to rescue the first friend she made in years. And I thought it’d be too much of a risk to let her just exist inside my dreams. I had to write her story and the NaNoWriMo challenge helped me to do that. Then I skipped it the following year to participate in NaNonFiWriMo (National Nonfiction Writing Month). And now I’m back again, but doing things a little bit different. 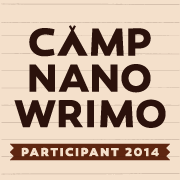 I’m just not writing one story but two and extending NaNoWriMo until December 30th. The first and current story is a romance novel. And the second story is a young adult urban and portal fantasy novella. This year, I’m disregarding word count. And just focusing on writing the rough drafts of each. Fixing plot holes, pacing, characterization, etc. after NaNoWriMo. With two years of NaNoWriMo and one year of NaNonFiWriMo, my best experiences were always the people. Meeting people who were just like me. Who had a story to tell. And all of us coming together in solidarity to do one thing. Tell a story that only we can tell. This year, I’m writing my first contemporary romance novel. It’s your typical boy re-meets girl, but girl tries to run away and is in denial of her feelings. So boy chases girl. There’s a lot of crossed love lines going on, a love pentagon actually and as I’ve realized myself lately. My second story is about an inner city girl who always dreamed of something bigger and better. And getting out of the ghetto. All the while not realizing that the amazing dreams she has were actually visits to other worlds. And she’s just about to get what she wished for and not in a good way. There’s too many to choose but when it comes to favorite movies, I’m an 80s girl. But for the sake of picking of just one, I’d have to say that my favorite is Ghostbusters. Good evening! Tonight, I’m interviewing Cory. You can find Cory’s website here. Cory, how long have you been participating in Nano? This is my 5th time doing NaNo. I think the biggest difference for me this time is just the challenges of finding the time to write with three little ones running around the house. Finding the time is always the biggest challenge for me (as well as a lot of people, probably most). I actually started out doing NaNo for the first time in 2010. My wife knew I had been wanting to write a book for a long time and I had started, but never finished one, so she bought me this book, No Plot? No Problem, and that’s when I found out aboutNaNo. I signed up right away and have loved doing it every year since. This year I’m doing a sci-fi adventure novel about a guy named J.J. Collins who is in the middle of his 13th life; every time he dies he wakes up again and starts all over as a kid and each time the world around him is different. He doesn’t know why it’s happening to him and he doesn’t really care, mainly he just wants to find the one person who he fell in love with during his first life. Star Wars – I remember being a kid and watching the original trilogy over and over, we didn’t have cable, but we had a VCR and the 3 Star Wars movies on VHS, so that’s what I’d watch. I still love watching them, but I think the first, Episode IV: A New Hope, is my favorite. Just keep plugging away at that keyboard. The thing I learned about NaNo is that even you don’t finish, if you don’t reach the 50k words, you still end the month having written a lot more than you probably would have otherwise, so it’s still a win. Of course, the whole point is to win, to get that magic number, to reach your goal and conquer the mountain. My advice is still the same – just keep writing – it’s the only way to win! Write everywhere – waiting at the doctor’s office, on your lunch break, early in the morning or late at night, whenever works for you. With the technology we have now it’s to write on your smartphone or tablet and have the app sync to your home computer, so there’s not really the excuse of not being able to work on your novel when you are away from home – you should always be working on your novel. Sneaky Ninja question! What’s your hobby horse?